Can Women Take Cellucor Super HD? This was the biggest question mark in my mind once I learned that Cellucor made a fat burning product. Since the focus of my site is primarily on women's sports nutrition products, I had to first make sure that women could take this stuff! I went on Cellucor's website and did the live support chat. In a few minutes of chatting, I had my answer. Super HD was essentially made for women! I was pumped to say the least. I bought the 60 pill jar from GNC online, and within a few days, I was ready to go. Coming off of a long fourth of July, filled with hamburgers, hot dogs, s'mores, and ice cream, I felt like I weighed four hundred pounds. The saddest part is that I honestly was super heavy after it. Full disclosure I was up to like 133. I'm tall, but. 133. Ugh. Super HD had plenty of work to do, and I was so ready to put it to the test. I ran with Super HD for two and a half weeks- and I'll tell you why I went past my two-week limit in a bit. Let's start with the results and the benefits of Cellucor Super HD thermogenic diet pills. Crazy Fat Loss: First off- Cellucor Super HD is going to take home this years first ever BPW Gold for diet pills and fat burners because it flat out does what it's supposed to do. It targets the fat in a way that I hadn't seen before. I know it sounds like nonsense, since it's literally impossible for a product to metabolize fat only (its always a combination of fats, aminos, and glycogen), but I swear the folks at Cellucor found a way! After my first week on Super HD, I was already noticing that my cuts started coming back, particularly along my outer thighs, upper back, and glutes. I was even starting to get some vascularity back in my forearms- which only happened a few times during my competition prep! I can't speak highly enough about the fat-burning side of this product. It's amazing. After the second week, those areas became even more defined, while some new striations started appearing that I honestly have NEVER experienced before. I was getting crazy definition in my abs and obliques, which is my favorite ever. I ended up staying with Super HD for a few extra days just because my results really were that good. I'd go as far as to say that Cellucor has won a customer for life for this fat burner. Muscle and Strength Retention: This second result goes hand-in-hand with the above, and is that even though I really did lose a decent amount of weight, it FELT like the MAJORITY of that weight really was fat. That's why I brought up the thing about it being impossible to actually target only fat as an energy source- it's like completely impossible. Super HD literally achieves the impossible LOL. I felt as good in the gym as ever when I was taking Super HD, which is something that very very rarely happens when you are taking a fat burner and running a caloric deficit (eating less cals than you burn each day). 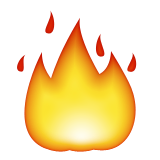 Part of this effect could have been that my muslces were so recovered from the week of vacationing that I was able to kill it in the gym anyways, but my best guess is that it worked in unison with Super HD to provide this awesome relentlessness in the gym. Unreal Energy Like I started to get into with the muscle retention, I really did have limitless energy with Cellucor Super HD. You'll find this in other Super HD reviews as well. 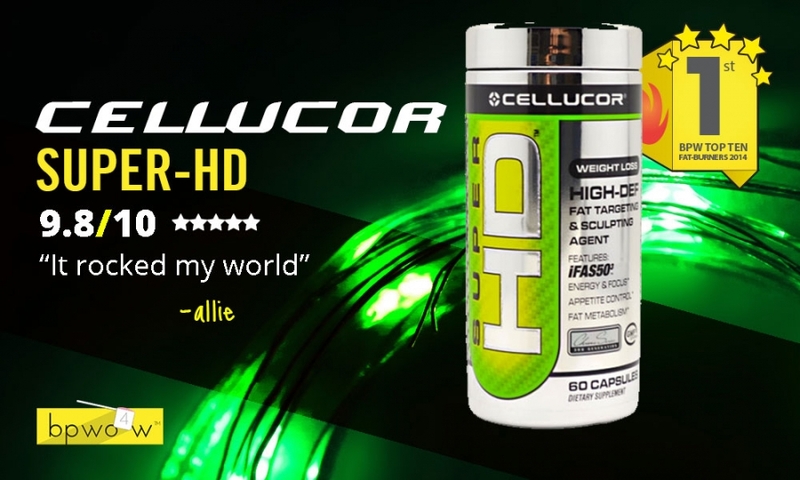 People love how energized and focus they feel on Cellucor Super HD. It has to be a testament to smarter formulating, because even I thought that this energy experience was exceptional, and something I'd really only felt a few other times before (namely in Athena pre workout). I like to refer to this sensation as 'limitless' energy. If you've seen the movie 'Limitless' (Bradley Cooper <3) you know exactly what I mean. You feel like you can do whatever for hour after hour. If you're in the gym you feel like you can crank out extra reps. Extra reps become extra sets. Extra sets become a three hour SESSION in the gym. It's amazing. That's the type of energy rush that I got from Cellucor Super HD fat burner, and a huge part of why the reviews are so crazy good. I've gone over the results and positive effects of Super HD, but what about the drawbacks? Well, to be perfectly honest, I don't have any negative effects to report on this fat burner. That's right. Even me. With my glass stomach, insomnia, and overall skepticism. If you've read many of my diet pill reviews you know that there is ALWAYS something that I can pick out. And often times it's two or three or four negative side effects that I call out in this section. But today is different. 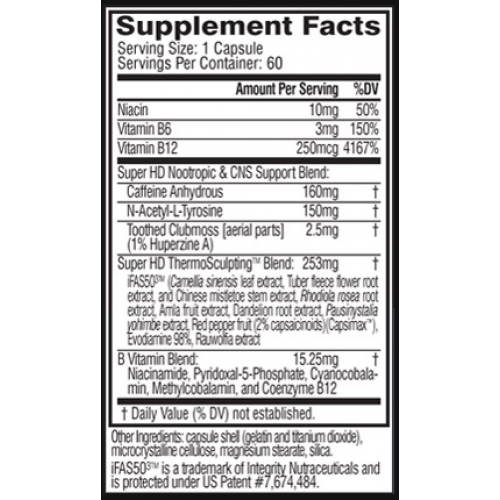 Cellucor Super HD left me with such a positive taste in my mouth that I am at a loss for discussing side effects. I'm somewhat embarrassed, but nothing bad to report. For once. Well done Cellucor. I spent a good long time looking at this ingredient panel- half expecting to see some kind of ephedrine or more likely some pixie dust. Something HAS to be in here to have it do what it did in such a short period of time. Right? It wasn't until the fifth time that I read through each ingredient on the Super HD supplement facts panel that I became convinced that there isn't any kind of PED's in here. And I'm still not even sure that there arent, such was the extent of my mini-transformation. There are few highlight ingredients in Super HD that really set it apart in my opinion. Chinest Mistletoe Extract: It is certainly a mouthful to say, and probably super expensive to put into this diet pill, but boy am I glad they did! Essentially the way these three ingredients work is by interupting the process by which the body stores fat as fat cells. Instead the lipids are kept in the bloodstream to be metabolized by the body. It could be this piece of the process that other diet pills miss out on. Caffeine: Of course caffeine is included in Super HD. It's the most powerful (legal) stimulant around, and it has fat-burning side effects to boot. At 160 mg per pill, it's also dosed high enough to reduce the need to take two pills at a time (thus burning throw your whole jar in just a fraction of time). Toothed clubmoss: Other than being really fun to say, this ingredient helps balance out the user while keeping them super focused. It's a natural source of Huperzine A, an ingredient found in several caffeinated products because it reduces the jitteryness of the caffeine. Additional ingredients such as Rhodiola, Rauwoliscine, and Yohimbe are additional highlights to this stellar fat burner's supplement facts. As with the negative side effects section, I have almost nothing bad to say about Super HD's packaging and label. Cellucor clearly has some serious designers making sure that their products jump off the shelves while maintaining the image of trustworthiness and also communicate what the brand is all about. I LOVE chrome, and I LOVE green, so basically Cellucor Super HD had me at hello. I literally can't get enough of this packaging. I love it. It's loud without feeling like it's trying to be something it's not. It's so fresh and so original. It's the perfect labeling for Super HD because it's effective design for an effective product. Cellucor Super HD fat burner is the one for me. It's effective at oxidizes fat and transforming your physique in a relatively short amount of time. And it does so without compromizing muscle mass, or making you feel sluggish. In fact, I observed no side effects what-so-ever while taking Super HD. Paying $40 for the 60 pill container will last about a month, which is greater longevity than almost all other competitors in the category. 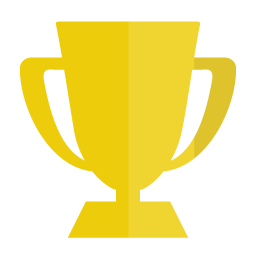 In summary, I want to congratulate Cellucor and Super HD as being the top fat burner for women, and taking the gold in 2014. Go buy Super HD. It rocked my world.